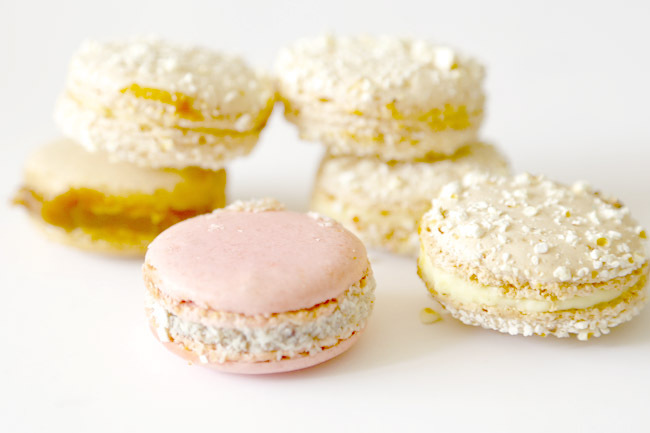 [Sydney, Australia] Adriano Zumbo who? 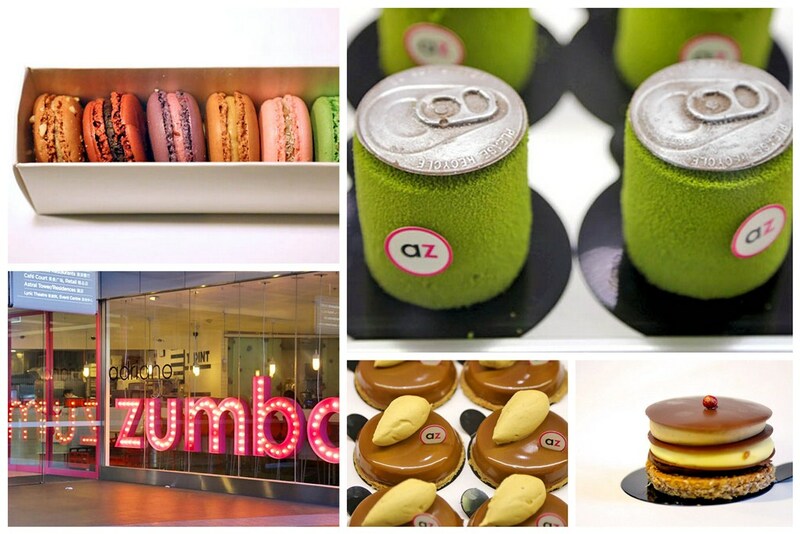 Zumbo, not Zumba the Latin exercise dance craze. He is an Australian whiz patissier whose nicknames include “Dark Lord of the Pastry Kitchen” and “Patissier of Pain”. On a random visit to Coles, a friend screamed “Zumbo” and went on sweeping boxes of Salted Caramel and Raspberry White Choc Tim Tams off the shelf. 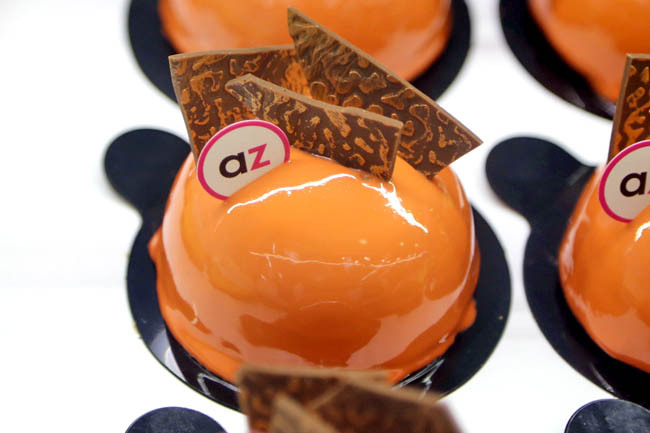 Yes, the patissier extraordinaire Adriano Zumbo has teamed up with Arnott’s Tim Tam to create a limited edition range. Limited, but still enough to go round. If you have watched MasterChef Australia, you may have watched Chef Adriano challenging contestants with his difficult-to-create desserts, also incorporating unusual ingredients such as black olive and beetroot to sweet treats. 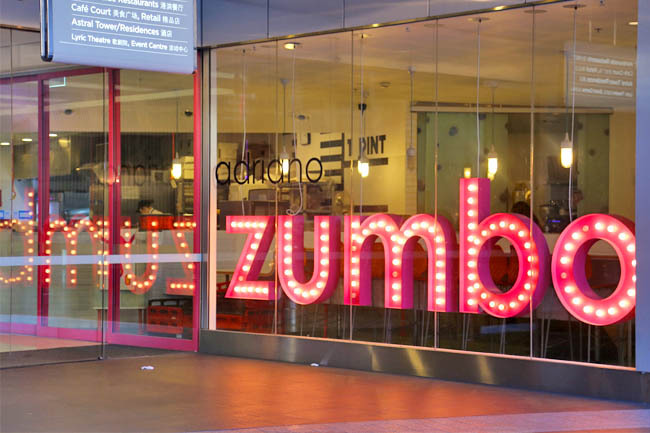 To try his Zumbolicious treats, you can head down to locations in Balmain, Rozelle, Waverley, The Star Casino, QVB and Melbourne. The concept store at The Star is supposed to feature a dessert train, though I was disappointed to find out it has ended its journey. Blah. Nevertheless, if you are a dessert lover, you may need to make one of life’s most difficult decisions upon entering the shop – which cake to choose? They are all amazingly beautiful and intricate. I went trigger-happy of course. I picked a Dirty Dani (AUD$9) because layers always work for me. My habit is to eat half all at once, and the other half layer by layer, imagining how it is stacked up. 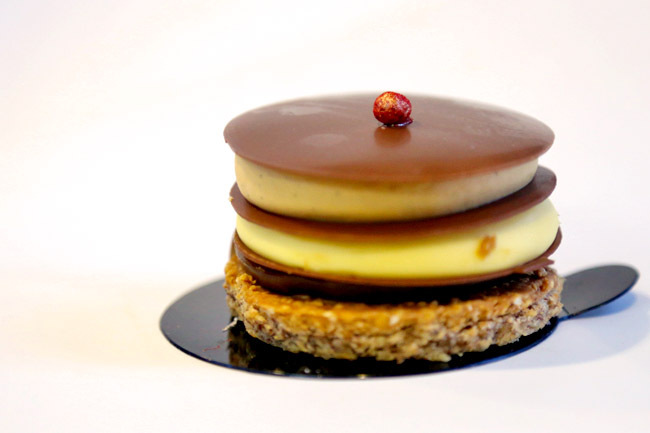 My choice was D.E.L.I.C.I.O.U.S Description: Caramel creme chantilly, passionfruit creme, salted caramel mou, hazelnut dacquoise, caramel crunch and milk chocolate plaques in on single cake. 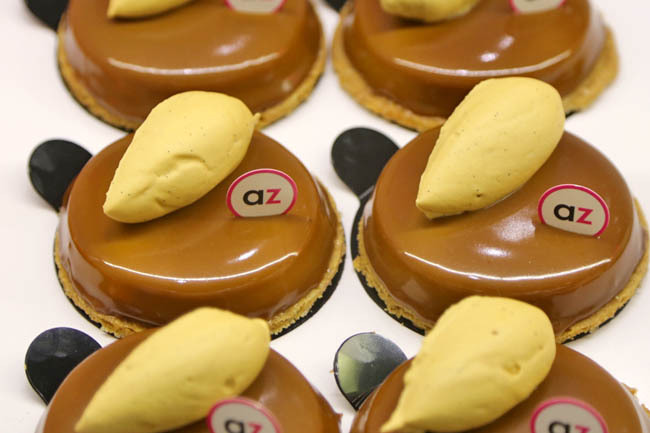 Remarkable textures of crumbly tart blending with slippery smooth creme, and seemingly clashing yet workable tastes, such as passionfruit crème with salted caramel. You marvel at the masterpiece, momentarily forget that it cost AUD$9. Worth every bit of the price. But, I reached the point of diminishing marginal returns 3 quarters into eating. Too sweet. Too much caramel. Moral of the story: Have your cake and share it. The Apple Maple Cheesecake (AUD$9) with apple mousse, cinnamon cheesecake, anzac biscuit, apple puree gel & yoghurt sponge, and Mylo Can ($9.50) – Milk chocolate mousse, mint and Milo cremeaux, cinnamon sablé, Milo crunch and raspberry jam were equally dessert-y elaborate and astonishing. 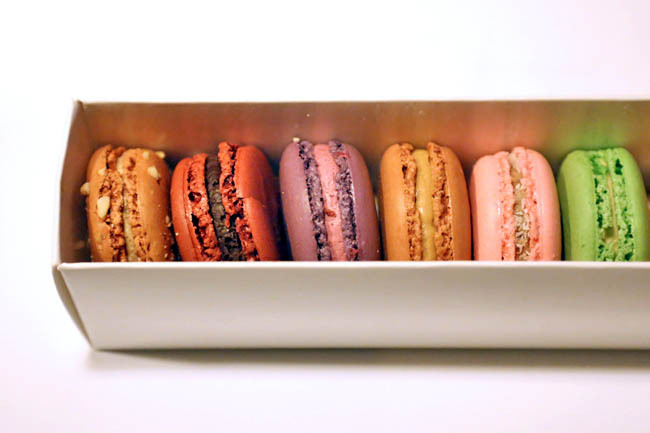 A friend had a regret this trip to Sydney, which is to only buy a box of Zumbarons (assorted 12 Pack AUD$30, 6 Pack AUD$15). I also say. 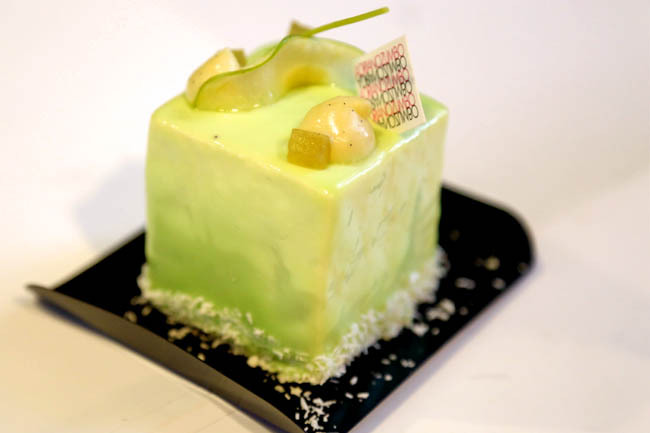 Chef Adriano was trained in Parisian institutions that included l’Ecole Lenôtre, Bellouet, Pierre Hermé and Damiani. 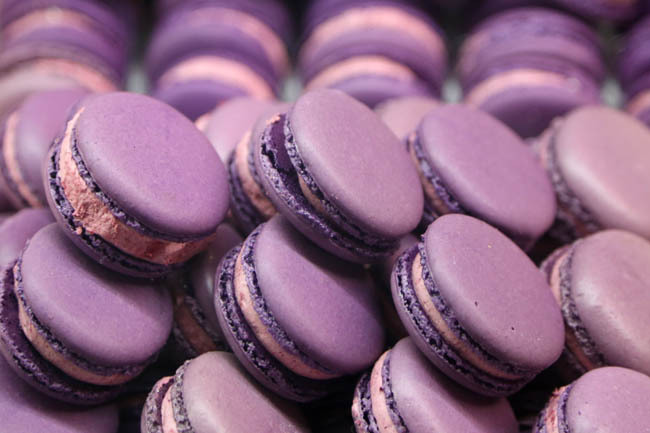 Macarons are his thing! 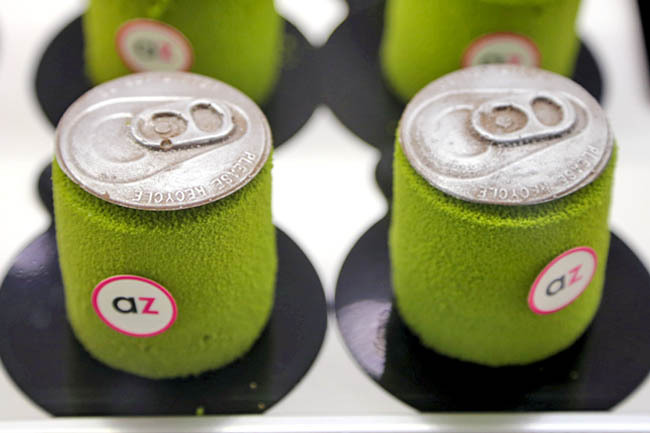 There are reviews proclaiming Adriano Zumbo’s cakes and macarons to be the Best in the World. Well… They are unquestionably technical masterpieces, while taste is subjective. I would say, definitely zumbalicious and worth a try again, and again.